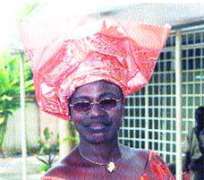 Veteran Actress, Idowu Phillips a.k.a. Mama Rainbow, spoke to OLAIDE ADEKUNLE about herself and what she does on typical day. Q: How is your typical day like? A: My typical day is always busy, from morning till evening, it's either you are from one location to another or attending to one thing or the other, but it is always busy. Q: When do you start your day? A: My day starts around 6 to 6.30 a.m. If I'm not on location, I take my time to relax, pray and do whatever needs my attention around the house, attend to one or two things. Q: What determines what you do in a day? A: Usually, I don't have any permanent schedule but whatever I'm going to do in a day is determined by the carry over of the previous day and any appointment that may arise, maybe one is called for audition, shooting or rehearsal, but not fixed in most cases. Q: If your days are as busy as this, what about your weekends? A: My weekend is always tight as well, if I'm not at the National Theatre for rehearsal, then I'm attending a function. Q: What time do you have to relax? A: No specific time for relaxation, but I do that at any given opportunity. In the morning, when I have nowhere to go, I go back to bed to rest for some hours before any other thing. Q: What else do you do apart from acting? A: Nothing, I'm fully into acting. I don't do any other thing, no business because I enjoy what I do a lot. A: I have moments of joy and happiness. I'm always happy because I have reasons to do so. A: One cannot do without them but I have been able to overcome them by the Grace of God and I say, to God be the glory. A: I love local food and as long as it is edible and nourishing. Q: What will you love to be remembered for? A: For leaving a legacy and contributing my own quota to the development of movie industry in Nigeria. A: If on location, I go home around 2 or 3 a.m., but if no production and on my own, I go home latest by 9 p.m.
A: Any time I feel like going to bed.